I’m currently preparing the Josef Rheinberger Sonata Op. 105a for a recital, and it has some uncharacteristically high notes for the Romantic period. It got me wondering – what are some of the earliest and highest notes in the clarinet repertoire? For this research, I’m interested in the upper altissimo register, which I’ve designated as G and above. Johann Melchior Molter, Clarinet Concerto No. 1 in A major MWV 6, no. 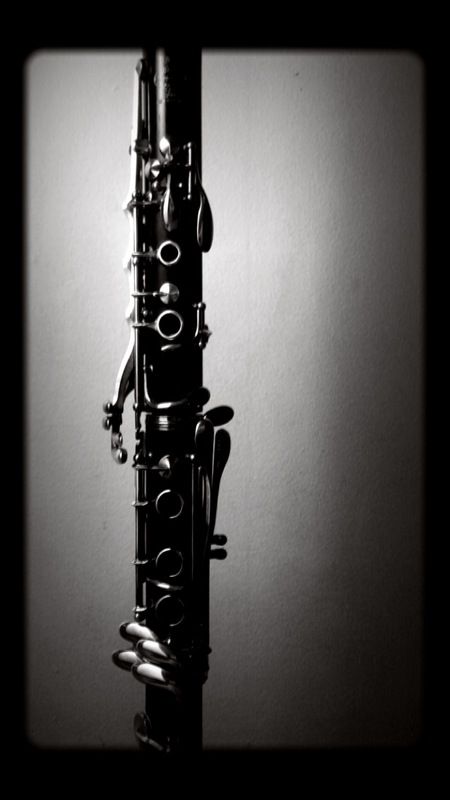 41 (1742-1750) – Our entire body of clarinet concerti is built upon the existence of high notes! This is the first clarinet concerto written, and it has a range up to high G (on D clarinet, mind you! ), so the implicit desire to go higher is there from the very beginning. No pressure, amirite? Louis Spohr, concerti for clarinet (1808-1829) – Spohr’s clarinet muse Johann Hermstedt must have had quite an impressive altissimo range, because Spohr sprinkles high C (what I fondly refer to as “super C”) throughout each of his four concerti, along with his incidental works. This is the first instance of super C in any clarinet repertoire, to my knowledge. Carl Maria von Weber, Concerto No. 2 in E-flat Major, Op. 74 (1811) – As if the first note of this piece wasn’t challenging enough, Weber adds a high B-flat at the end of the first movement! Julius Rietz, Clarinet Concerto in g minor, Op. 129 (1857) – This Romantic gem of a concerto features many scalar and arpeggiated passages, with the finale of the first movement culminating in high A.
André Messager, Solo de concours (1899) – The notoriously tricky cadenza includes an A-flat (and other fun challenges). Artie Shaw, Concerto for Clarinet (1940) – To my knowledge, this is the first appearance of super C in American clarinet literature. Aaron Copland, Concerto for Clarinet (1947-1949) – Any clarinetist who has practiced this piece is well-acquainted with the slew of high notes featured abundantly in this piece, which extend to high B-flat. John Corigliano, Concerto for Clarinet (1977) – Super C is abundant throughout this piece. If that’s not enough to scare you away, the superhuman technique required is quite the undertaking for anyone preparing this piece. Ludwig van Beethoven, Symphony No. 8 in F Major, Op. 93 (1812) – Clarinetists are well-acquainted with the high G at the end of this famous excerpt, which was originally optional (I wish this was still the case today!). George Enescu, Romanian Rhapsody No. 1 in A Major, Op. 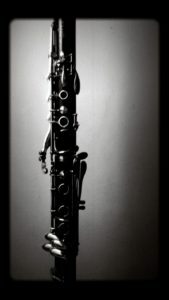 11 (1901) – This perhaps the first appearances of super C in orchestral clarinet music. Save your embouchure to hit the high note at the end! Richard Strauss, Symphonia Domestica, Op. 53 (1903) – Always end on a high note, like Strauss did with the super C on A clarinet in this tone poem. Alberto Ginastera, Variaciones Concertantes, Op. 23 (1953) – This excerpt will strike fear in the hearts of even the bravest clarinetists because it goes up to a high C-sharp (or high D, if you decide to transpose for A clarinet)! The appearance of upper altissimo notes became more prevalent during the second half of the twentieth century, which is why I’ve chosen to list landmark works until this point. This list is not meant to be comprehensive (especially after the mid-twentieth century) because altissimo notes are so common in modern music. Nowadays it’s quite common for young players to have complete mastery of the entire range of the instrument! I’m curious to know – what are the highest notes you’ve ever seen in clarinet repertoire? Let me know in the comments! Thanks for the column, Jenny. Brings up an interesting point. For as famous the e flat Clarinet is for high notes, the entire Peter Hadcock e flat excerpt book has very few notes above high G. As we all know, excerpts are not the full part, etc. There are scattered a flats and maybe an a natural, but I have yet to see a high b flat or higher in an e flat Clarinet part. The concert band repertoire may be another story but I am not as familiar with that. Artie Shaw improvised over a simple blues scheme and showed his high note chops there just like he did on plenty other charts. As for Copland, decades ago there was an article in The Clarinet showing that the original manuscript actually went up to high C# at the end of the cadenza (A – B – C#). But Copland had to tone it down upon BG‘s request, hence A – G – A in the published version. Joel-Francois Durand’s “Thiodlac” (unaccompanied and microtonal) ends on a slow section that hangs out on Bb-C-D-Eb (5-6 ledger lines) and ends on a B.